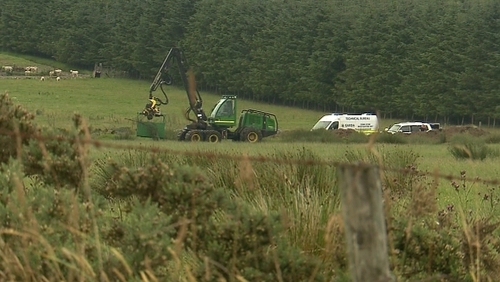 Gardaí searching woodland in Co Wicklow, where a skull was found on Thursday, have confirmed they removed human skeletal remains yesterday. The remains have yet to be formally identified. Gardaí returned to farmland in Ballyfolan this morning to resume their search, which is progressing slowly in difficult terrain. The human remains found yesterday have been sent to the State Laboratory where they will be tested. Further tests on the skull are also due to take place over the coming week before a formal identification is known.